Helen Forrest writes to the Berry Schools to let them know she's mailed some Christmas cards. 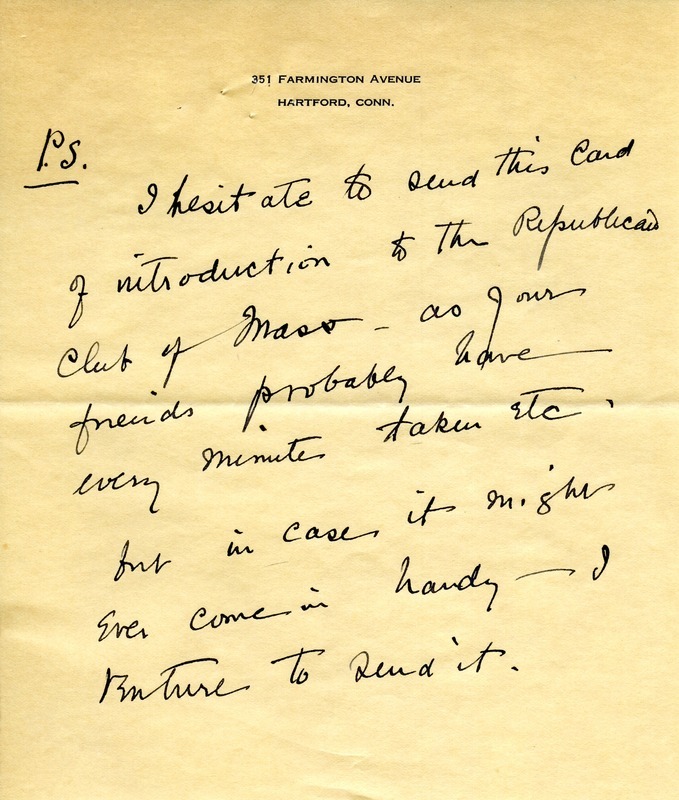 She also sent an introduction card to the Republican Club of Massachusetts. 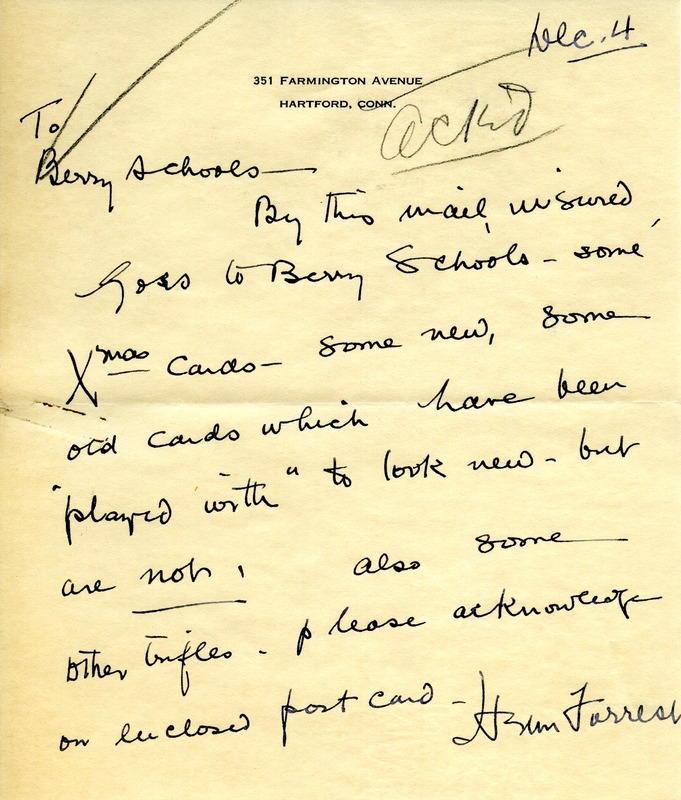 Helen Forrest, “Letter to Berry Schools from Helen Forrest.” Martha Berry Digital Archive. Eds. Schlitz, Stephanie A., Chelsea Risley, Christy Snider, et al. Mount Berry: Berry College, 2013. accessed April 21, 2019, https://mbda.berry.edu/items/show/12555.